In the first half of the 20th century a German, Joseph Pilates, the son of a prize-winning gymnast developed a system of exercises – which he called “Contrology”. They were intended to strengthen the human mind and body. Adept at both Eastern and Western forms of exercises, including yoga, Joseph believed that mental and physical health was interrelated. In later years, the exercise routines he developed were named after him, and thus, it is now popularly known the world over as Pilates. Joseph observes in his book Return to Life through Contrology that when practiced with consistency, Pilates helps improve flexibility, builds strength and develops control and endurance. It lays emphasis on alignment, breathing, developing a strong core, and improving coordination and balance. The central core in Pilates is formed by the Transverse Abdominus muscle, Multifidus, Diaphragm and pelvic floor muscle which are engaged by a technique of abdominal hollowing. These muscles work as spine stabilisers that help in curing or preventing spine-related mechanical dysfunction. Clinical Pilates is often used in tandem with physiotherapy to treat different types of injuries, particularly lower back pain. Pilates focuses on the retraining and recruitment of these stabilising muscles (core stability) as well as improving posture, strength and flexibility. Our modified Pilates technique is suitable for all age groups, gender and fitness levels. 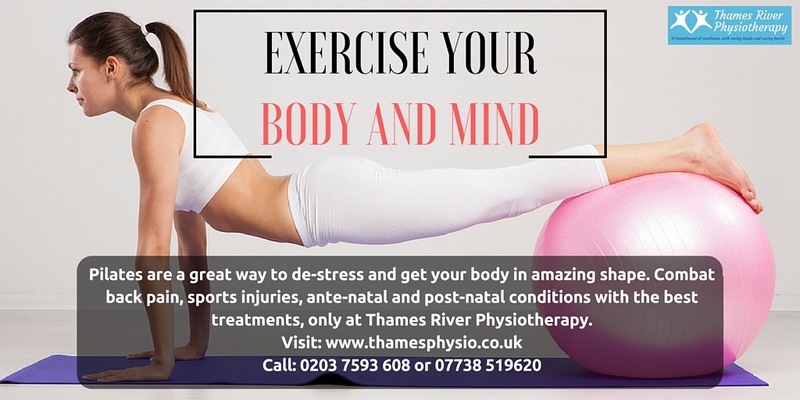 Pilates helps in treating back pain, sports injuries, ante-natal and post-natal conditions, neurological conditions and postural dysfunctions.